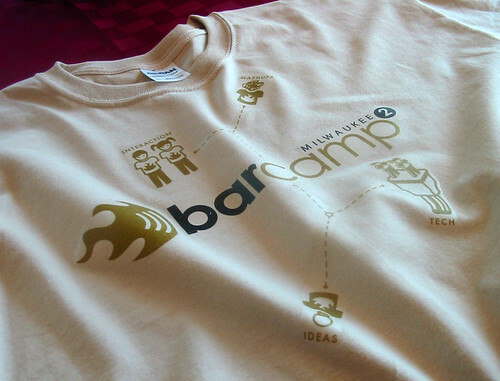 This afternoon, I took the final BarcampMilwaukee2 T-Shirt art, sizes and specs to MJM Ventures. 290 shirts are now in production, with delivery of the shirts set for Thursday October 11th. 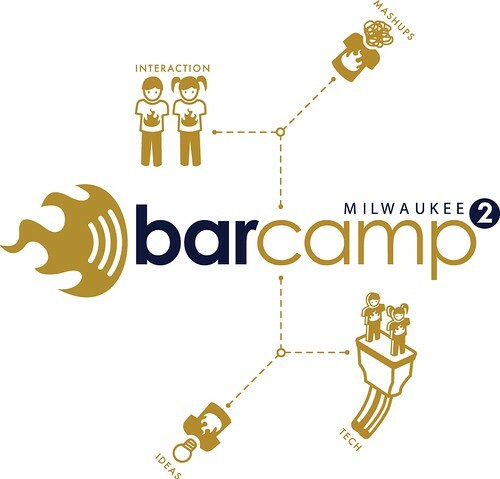 After 12:00 today, I closed the window for new BarCamp registrants to gurantee their shirt sizes. I had to deliver the information and art today, so MJM could make the October 11th delivery deadline. That's the way it goes. Registranst will still have shots at shirts, as I have about 75 extra shirts ordered for walk ups, to be given given out on a first-come, first serve basis. T-Shirt Front: Navy blue and rich gold. T-Shirt Back: Solid Navy blue logo and sponsor names in the shape on an X. Thanks go to Jen Anne for her wonderful illustrations, MJM for shirt selection and production, Pete Prodoehl (A.K.A. ChaosLord) for advice and information from last year's shirts and Blake Hall for all of his help creating t-shirt lists in Drupal. 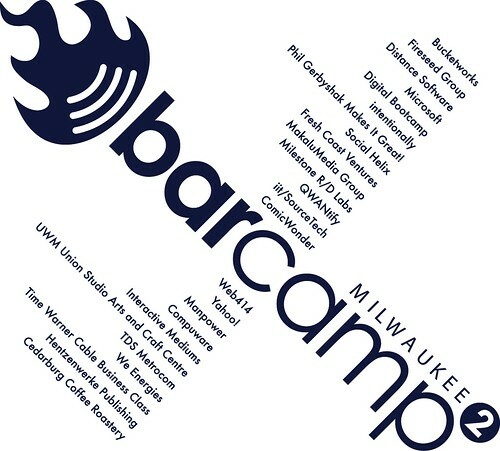 BarCampMilwaukee2 is less than 2 weeks away! Sign up now! Great work Mike! I'm so glad you stepped up to take over the t-shirt task this year. I think everyone will be quite pleased. Glad to assume responsibility Pete, it was fun! I can't wait to see how the final shirts turn out.